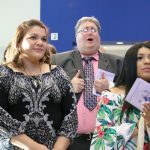 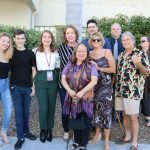 January 10th, 2018 | MTC In The News, News. 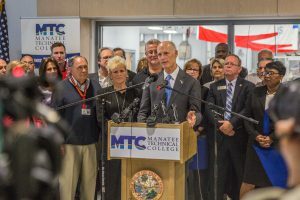 BRADENTON, Fla. – Today, Governor Rick Scott visited Manatee Technical College to announce that the college will be awarded the first grant from the Florida Job Growth Grant Fund. 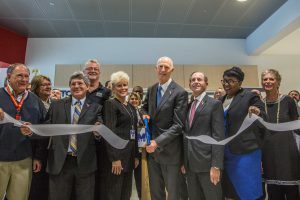 Last month, the School Board of Manatee County voted to accept $201,500 in funding through the Florida Job Growth Grant Fund from the Florida Department of Economic Opportunity (DEO). 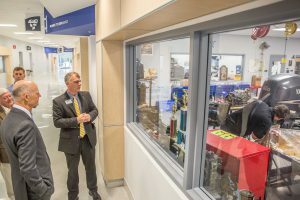 This funding willsupport the purchase of high-tech equipment needed to expand the workforce training program in Advanced Manufacturing and Production Technology,which will help prepare more students for future career opportunities. This proposal was chosen based on its strong return on investment to the state and the regionally driven demand for a robust manufacturing workforce. The impact of this program will help prepare Florida students for years to come and encourage businesses to invest in Manatee County as a result of the skilled workforce. 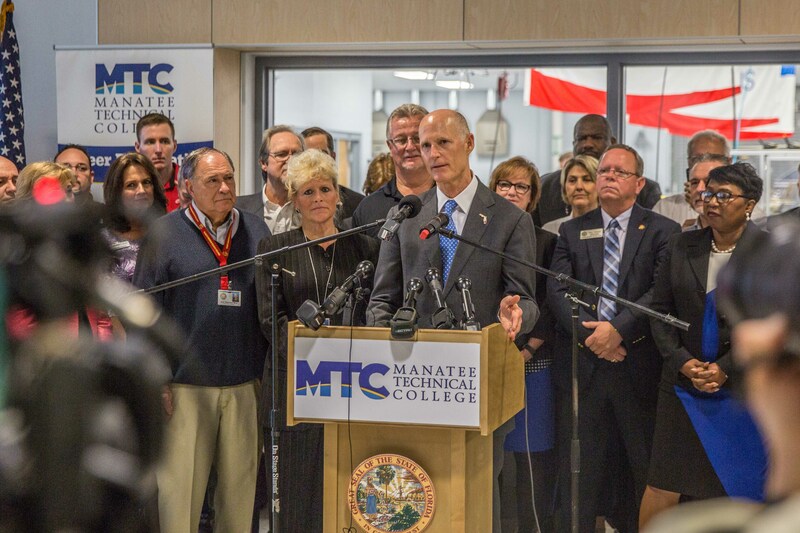 Return on investment is calculated based on the number of Floridians completing the training program and the projected increase in wages they earn once they find employment in comparison to total project cost.